It’s very hard for an act to impress me with a live performance if I’ve never heard them before. 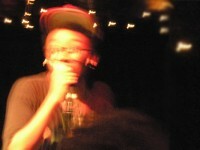 THEESatisfaction did that last night with ease and great aplomb. 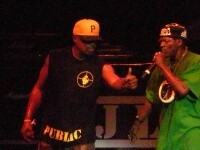 At a rough estimation I have waited around 20 years to see Public Enemy live. As you might imagine the days leading to the gig opened a route straight though to my inner thirteen year old and the excitement flooded in leaving me giddy and light headed.